Lebanon bed and breakfast travel guide for romantic, historic and adventure b&b's. 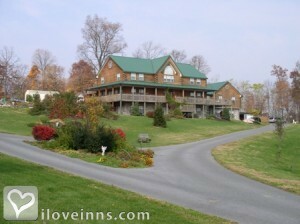 Browse through the iLoveInns.com database of Lebanon, Pennsylvania bed and breakfasts and country inns to find detailed listings that include room rates, special deals and area activities. You can click on the 'check rates and availability' button to contact the innkeeper. Lebanon, Pennsylvania is known for the world-famous Giant Center. This hockey arena has been a favored venue for pro hockey leagues as well as international competitions. Due to its proximity to Hershey, Lebanon bed and breakfast inns often host guests who also want to visit the home to the world's most famous chocolate brand. From the inn, visitors can drive to Hershey Gardens, Hershey Park, and Hershey Theatre. Opportunities for dining are many in Lebanon, with restaurants like Fratelli Trattoria, Queso Dee'as, Puerto Rican Paradise Restaurant, Niko's, and Franz's Tavern. By Berry Patch B&B.